Soon after the micro-blogging startup introduced the ability to shoot video directly within its mobile apps more than a month ago, the need arose for embedding Twitter video. 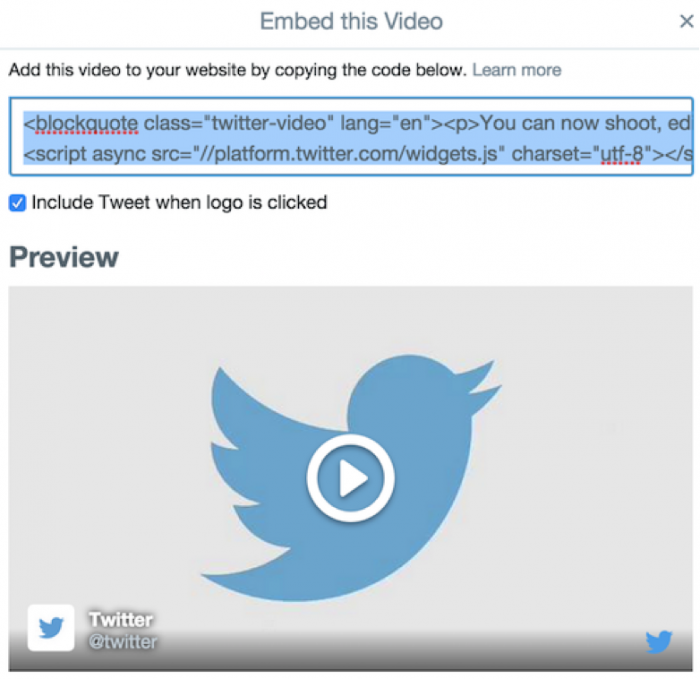 In this post, I’ll show you how to use Twitter’s widget to get the embed code for Twitter-hosted video to use on your own website or blog. Step 1: Visit an URL to your chosen tweet using a browser and click on ••• right below the tweet. 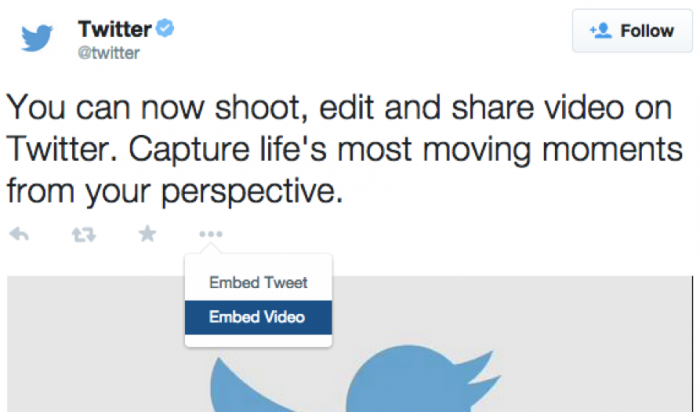 Choose “Embed Video” from the menu, as seen in the example below. Step 1: Copy the generated HTML markup and paste it on your website or blog to display a video-focused embed. By default, the video widget displays the full tweet when a viewer selects the Twitter logo. You can elect to not include the tweet when the logo is clicked by unpicking the “Include Tweet when logo is clicked” box. Keep in mind that video embeds are only available for video content captured and uploaded through Twitter’s apps for iOS and Android as well as Twitter Amplify partners.